Alright, let's lighten this up and begin to restore the faith. The Cubs are in first place in a hotly contested division with about 9 weeks to go. A lot say the NL Central is the weakest division in baseball, even 89 Cubs, but I fell that there's more competition in this division than others. After talking to PlayoffBound in chat, I'm convinced the worst division in the NL and MLB is the NL East. All that's good and happening is the Phillies. Can one team's success against the rest of the terrible division (all 6.5+ games back) really mean that division is good? Nope. There is no competition. That's the worst division. As for the 'Cubbie' injuries of recent. They are no worse than what we used to deal with. Not even close. Remember when we started the season without our two aces? Wood out for weeks and Prior gone for ... well... he was always injured in spring (couldn't handle the weather). Blame the curse or the Towel Toss. It was worse than today. I could go on to others, like sneezes, but don't feel like it. This year, yes, some injuries. The Cubs played .500 ball, which is key. That keeps you in it. This team may not be the best we've seen (no 97 wins this year), but they are giving the Cubs a shot. That's all we need. Get to the playoffs, anything can happen. Go in as the best team in baseball and get swept. Come in as the least deserving, win it all. 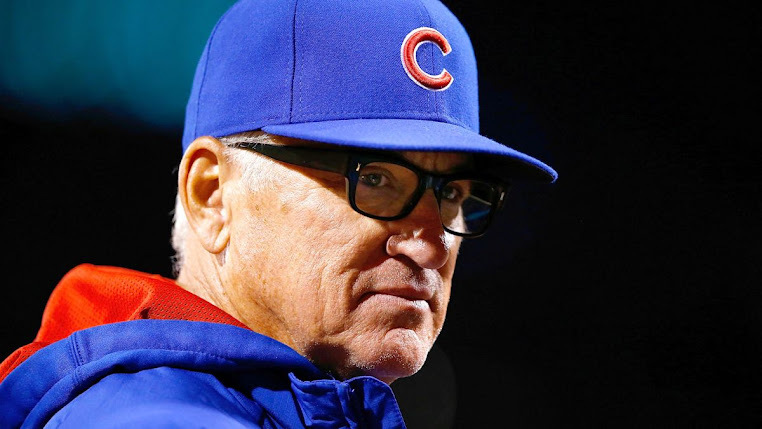 Have Cubs fans, restore the faith! October baseball can be sweet! Time to send in some photos of you and fam in your Cubs gear, at Wrigley or whatever. 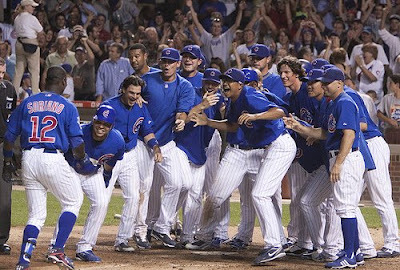 Send to 2009@cubsmagicnumber.com with a little back story. We post the best during the final run.